Silverlight 4.0.41108 Beta 0 out of 5 based on 0 ratings. * Comprehensive printing support enabling hardcopy reports and documents as well as a virtual print view, independent of screen content. * A full set of forms controls with over 60 customizable, styleable components. New controls include RichTextbox with hyperlinks, images and editing and Masked textbox for complex field validation. Enhanced controls include DataGrid with sortable/resizeable columns and copy/paste rows. * WCF RIA Services introduces enterprise class networking and data access for building n-tier applications including transactions, paging of data, WCF and HTTP enhancements. * Localization enhancements with Bi-Directional text, Right-to-Left support and complex scripts such as Arabic, Hebrew and Thai and 30 new languages. * The .NET Common Runtime (CLR) now enables the same compiled code to be run on the desktop and Silverlight without change. * Enhanced databinding support increases flexibility and productivity through data grouping/editing and string formatting within bindings. * Managed Extensibility Framework supports building large composite applications. * Exclusive tooling support for Silverlight, new in Visual Studio 2010. Including a full editable design surface, drag & drop data-binding, automatically bound controls, datasource selection, integration with Expression Blend styling resources, Silverlight project support and full IntelliSense. * Fully editable design surface for drawing out controls and layouts. * Drag and drop support for databinding and automatically creating bound controls such as listbox, datagrid. New datasources window and picker. * Easy to pick styles and resources to make a good looking application based on designer resources built in Expression Blend. * Editor with full intellisense for XAML and C# and VB languages. * Fluid interface enhancements advance application usability through animation effects. * Webcam and microphone to allow sharing of video and audio for instance for chat or customer service applications. * Audio and video local recording capabilities capture RAW video without requiring server interaction, enabling a wide range of end-user interaction and communication scenarios for example video conferencing. * Bring data in to your application with features such as copy and paste or drag and drop. * Long lists can now be scrolled effortlessly with the mouse wheel. * Support conventional desktop interaction models through new features such as right-click context menu. * Support for Google’s Chrome browser. * Performance optimizations mean Silverlight 4 applications start quicker and run 200% faster than the equivalent Silverlight 3 application. * Deep Zoom enhancements include hardware acceleration to support larger datasets and faster animation. * Multi-touch support enables a range of gestures and touch interactions to be integrated into user experiences. * Multicast networking, enabling Enterprises to lower the cost of streaming broadcast events such as company meetings and training, interoperating seamlessly with existing Windows Media Server streaming infrastructure. * Content protection for H.264 media through Silverlight DRM powered by PlayReady. * Output protection for audio/video streams allowing content owners or distributors to ensure protected content is only viewed through a secure video connection. * Place HTML within your application enabling much tighter integration with content from web servers such as email, help and reports. * Provide support for ‘toast’ notification windows, allowing applications to communicate status or change information while the user is working on another application through a popup window on the taskbar. * Offline DRM, extending the existing Silverlight DRM powered by PlayReady technology to work offline. Protected content can be delivered with an embedded license so that users can go offline immediately and start enjoying their content. * Control over aspects of UI include window settings such as start position, size and chrome. 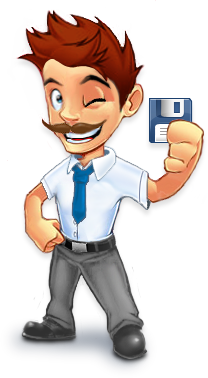 * Read and write files to the user’s MyDocuments, MyMusic, MyPictures and MyVideos folder (or equivalent for non-windows platforms) for example storage of media files and taking local copies of reports. * Run other desktop programs such as Office, for example requesting Outlook to send an email, send a report to Word or data to Excel. * COM automation enables access to devices and other system capabilities by calling into application components; for instance to access a USB security card reader. * A new user interface for requesting application privileges access outside the standard Silverlight sandbox. * Group policy objects allow organizations to tailor which applications may have elevated trust. * Full keyboard support in fullscreen mode richer kiosk and media applications. * Enhancements to networking allow cross-domain access without a security policy file.